The ability to keep Wi-Fi on while the display is off is a Windows Phone OS update not limited to HTC. With China just launching the Nokia Lumia 920T, information is slowly leaking out about some of the differences between it and the current versions of the flagship phone already on the market. In images posted on the site WPXAP, we can confirm the existence of two added features that greatly enhance the user experience. 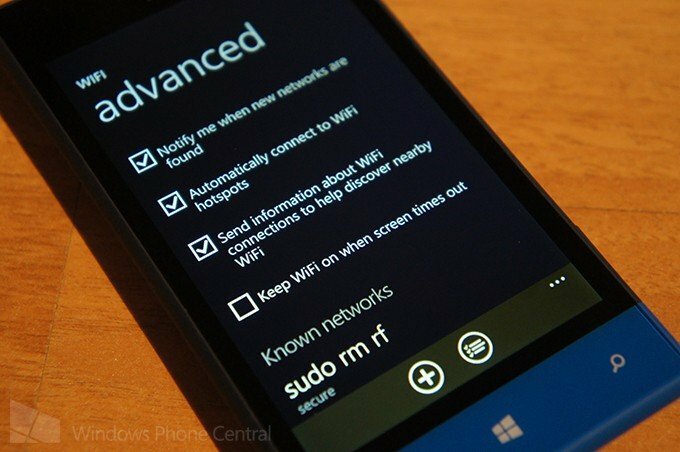 The first one is the “Keep Wi-Fi Alive” ability, which we documented yesterday on the just released HTC 8S. At the time, we were uncertain if that feature was an HTC customization or part of an updated build to Windows Phone 8 (10211). As it turns out, it appears to be the latter as the 920T is sporting the same Wi-Fi settings screen. The “keep Wi-Fi alive” feature will allow the current WLAN connection to stay active even when the display is off, ensuring users that downloads and regular data will use only the free Wi-Fi connection and not your 3G/4G data. Although on first blush such an option may seem to consume more battery, in reality leaving Wi-Fi on all the time is quite efficient with these modern Qualcomm chipsets. 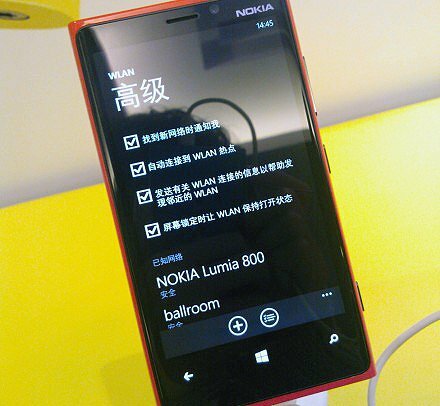 Another feature revealed on the Lumia 920T for China is a call blocking/intercept list. Not too much is known about this feature, although Samsung had something similar on earlier Windows Phone 7 devices. The block list will intercept calls and SMS text messages, allowing users to create various rules on how to handle them (presumably it’s more than just a blocker). It is not known if this is a Nokia add-on or OS-level addition. The good news here is Nokia traditionally has been very good about rolling out these updates and keeping their phones roughly on the same build and firmware. That means it’s not too far fetched to think that current Lumia Windows Phone 8 owners won’t get these features at some point. Unfortunately we don’t know the nature of these builds, plans to roll them out and of course what roll carriers will play in their deployment. Source: WPXAP; Thanks, ynight, for the tip!